Just want the vital information? That’s fine with us! We will sit down with you to decide what reporting options your campaign needs. 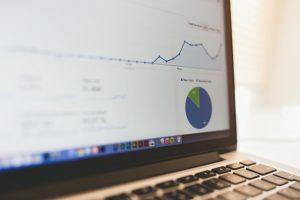 No two reports are the same and we don’t treat them like that; data that is vital for one marketing campaign might not be important for another. Whether your project involves a pay-per-click or social media campaign, we will customize it to fit your specific needs. What Are the Advantages of Custom Reports? By customizing our reports specifically towards the goals of your business, we offer large and small businesses the power to track all marketing channels to ensure successful marketing campaigns. Our reports are tailor-made for you and your business to find the strengths and weaknesses to build and work upon. We give full Return-on-Investment (ROI) reports to monitor specified monthly goals. Don’t be caught blind when marketing on the internet, you may be focusing on marketing channels that yield low returns! Our reports are available to you at any time and provide easy-to-understand, in-depth data with beautiful charts and graphs to keep track of the amount of money you are spending to attain new leads. Do I Need Custom Reports? Our custom reporting is the first step that is necessary for you to make executive decisions about your online activities and the success of your online campaigns. Included with our reports are Goals we set and share with you to track growth from month-to-month. As a result of our growing dependence on the online world, it’s imperative to make sure your website is as successful as it can be and ensures your site achieves the results you expect and need.